As a car owner, many things can become frustrating. You could enjoying a drive down the road and start hearing a weird noise you have never noticed before. Then, you will begin to wonder if that sound is something you should take to the shop for BMW car repair, or it can be put off. It is always a gamble delaying repairs. For most of us, those quirky sounds our vehicles make alert us to trouble and need to have parts replaced or fixed. Afterall a motor vehicle is just a series of smaller pieces that work together allowing the car to move, steer and stop. If something with your vehicle systems isn’t working the way it should, it could lessen the chance that it will perform the way it needs to. And that is not good for anyone. When it comes to your BMW’s dash, you will notice many features that are illuminated. The speedometer will tell you how fast you are going. The tachometer registers your RPMs. The water temp, fuel gauge, and voltage may also be present. In some makes or models, it can do so much more, via a screen in the instrument cluster. However, with all these fun and unique ways to receive information about how your car is running, one light, the check engine light, no one wants to see. But why? Is it as scary and nerve-racking as everyone makes it out to be? Does it signal the demise of your car? And why can’t the car just tell you what is wrong without a vague little light appearing? The check engine light, in most cases, doesn’t signal the imminent death of your vehicle. However, it is alerting you to a known problem within the system. All cars equipped with an OBD2 system can have their codes read with a code reader. Most readers won’t tell you the exact cause, only give you a random code. For example, a common DTC for BMW’s is P1351. Now the trouble code won’t mean much until you look up what it is for. In this example, it says there is a misfire in cylinder 5. If you were to take your vehicle to a shop like Ryan GMW for diagnostics, they would tell you right there what the code is, and determine the cause of the problem. Some codes are considered generic and can have a few fixes to solve them, such as a random misfire. 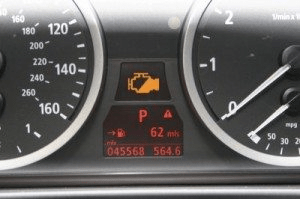 Some check engine lights signal a very severe problem. However, if your car isn’t acting any differently it more than likely is still able to drive. If other issues, like strange noises, accompany the light, rough idles, or it dies randomly, visiting a German car service shop will solve the problem. While having a check engine light is no fun, and can cause concern, it is not always the end of the world. Having a professional check your vehicle out, reading the codes, and determining the underlying issue can help. The reason for the light can be as simple as a loose gas cap or as devastating as a transmission code. Until you know why it will always be a mystery. If your car is acting differently, then you shouldn’t delay on having it diagnosed and repaired.